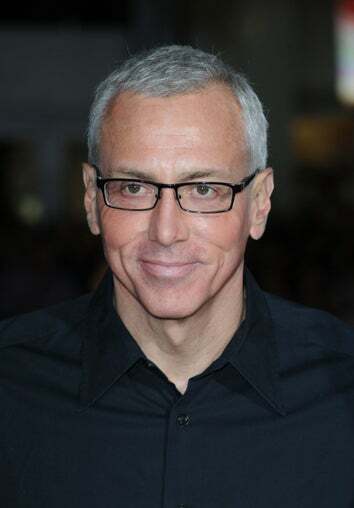 Yesterday you may have read a rant from Dr. Drew, in which he predicted Brad Pitt and Angelina Jolie would break up in a "nuclear eruption." Well, he's offered an apology! Via tabloidy gossip mongers Radar Online. And Dr. Drew is sorry. Sorry about calling Angelina a heroin addict? Sorry he said she had a "demeaning attitude towards other people's emotions"? Maybe! But definitely sorry the public found out about it. In a video interview with Radar Online, the good doctor explains: "These comments were taken completely out of context (and) they were never meant to be printed." So he said what he said, he just didn't want us to know about it? Right. "Categorically these comments were not supposed to be in the public discourse," he claims. "I don't know these people, I don't know the facts." Ahem. "Literally as though one was speculating, just going through an exercise of speculation and not some sort of analysis that was supposed to be factual or for public discourse... I could not be more upset and disturbed that these things were printed as though I was making some sort of categorical analysis of people I really don't know." And just in case Brad and Angie are actually taking time out of their busy schedule of jet-setting and child wrangling to log on to Radar and watch this apology, Dr. Drew adds: "I wish them the best, I hope they do well, enjoy the holidays with their kids and have a nice time." Merry Christmas!